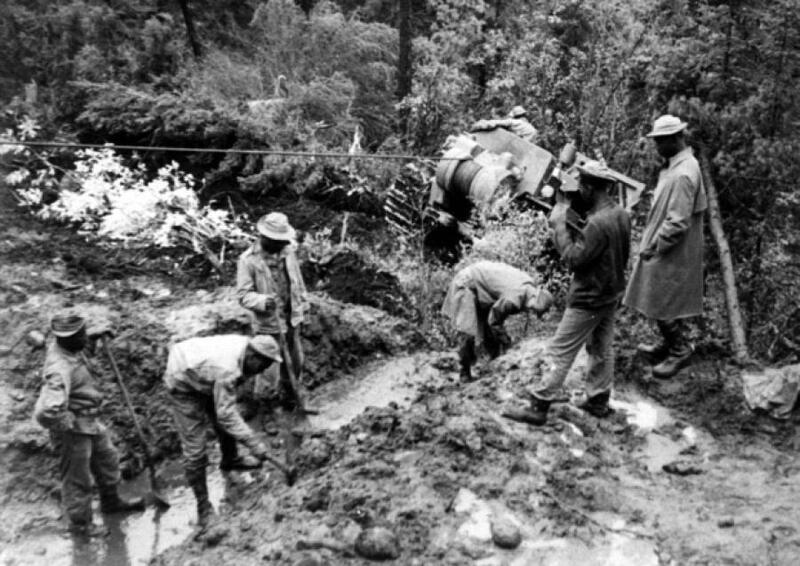 Alaska state lawmakers are considering the creation of a holiday to honor the contributions of more than 4,000 black soldiers who endured harsh conditions while building the Alaska Highway during World War II. The road is the only one linking the state to the continental U.S. and the holiday would be celebrated on Oct. 25. That is the date in 1942 when the black troops who started building the road in the Fairbanks area met up with white soldiers who began their work far to the south. State Sen. David Wilson sponsored the legislation that has drawn support from 16 other state senators as co-sponsors, KTOO-FM reported Wednesday (http://bit.ly/2mbdZGC). The road's construction was a first step toward integrating the military in 1948, experts said. "Because of what these soldiers did in 1942 in Alaska in all the harsh conditions, on July the 26th, 1948, then President Truman declared all military would be integrated," said Jean Pollard, who works with the Alaska Highway Memorial Project. Many people including Alaska residents are unaware of the contribution of the black soldiers, Pollard said. "I'm a retired educator, and I had graduated from high school here and college here and never had heard that story this way," Pollard said. Former soldier Reginald Beverly, who turned 102 this month and lives in Virginia, was among the black soldiers who helped build the highway.